Despite “profound differences,” Castro said, Cuba is willing to talk to the United States about thorny subjects including human rights and democracy. Today’s developments come hours after news emerged that Alan Gross, the American contractor who spent five years in a Cuban jail, had been freed on humanitarian grounds. “It’s good to be home,” Gross said in Washington, shortly after his return to the U.S.
Obama, the officials said, approved high-level talks with Cuba over the spring, and meetings were held in Canada. The Vatican also played an important role, the officials said, with Pope Francis appealing for Gross’ release in letters to both leaders. The officials said the U.S. will also move to remove Cuba from the list of state sponsors of terrorism. Cuba has been on the list since 1982. 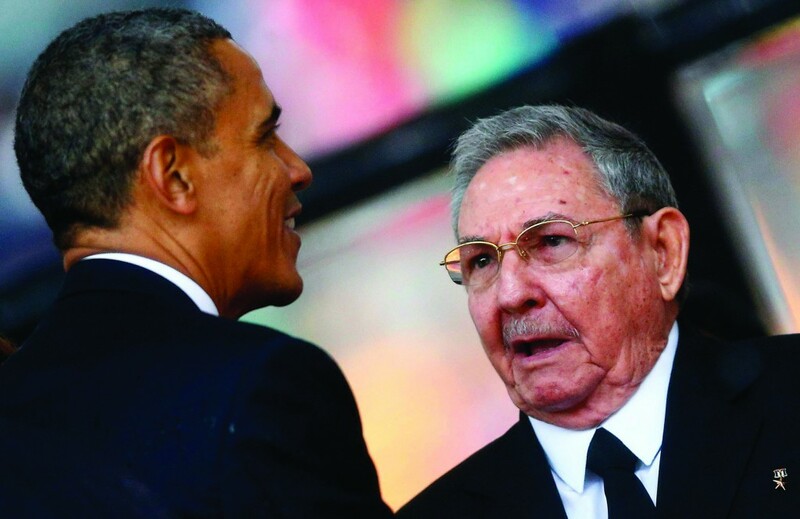 Obama has asked Secretary of State John Kerry to give him within six months a review of Cuba’s support for terrorism. Officials said that, among other steps, the U.S. will ease travel and remittance policies; expand commercial sales and exports; and ease imports, including of tobacco products and alcohol. The U.S. will expand Cubans’ access to the Internet and telecommunications. This month, Gross’ wife, Judy, said her husband had lost more than 100 pounds during his detention. “He can barely walk due to chronic pain, and he has lost five teeth and much of the sight in his right eye,” she said in a statement. He noted that Obama’s expected announcement will do “nothing” to further democracy in Cuba. “It’s part of a long record of coddling dictators, and tyrants, that this administration has established,” he said.